Unilab has many products, of course. These are some of their products, however, that cater to beauty and wellness and address the Beauty Habits prescribed by Ms. Marie Calica. Brushing is not enough and keeping clean means fresh breath for a longer period of time. 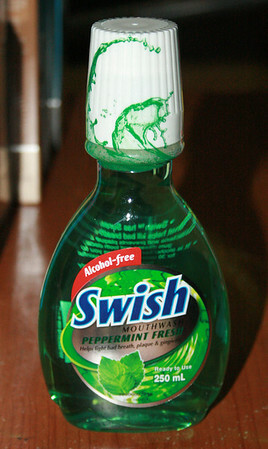 I find that such mouthwash also helps as gargle after eating sweets to avoid sore throats. 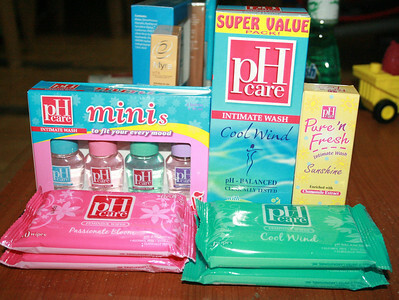 I have yet to try the Cool Wind variant which they say feels super cool down there but I have been using Ph Care (usually the pink one) for the longest time now. Again, keeping clean means even non-exposed areas are kept clean and fresh-smelling. Asian Secrets Lulur Whitening Scrub exfoliates the skin while Myra VitaQuench lotion moisturizes it after. 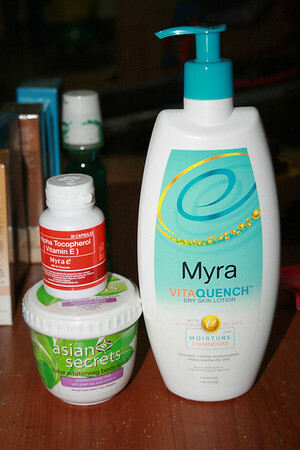 And then, Myra E supplements nourishes the skin from within. These are mostly face products. 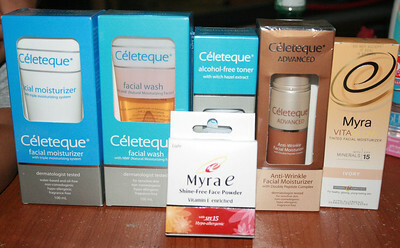 Celeteque as a brand is known for gentle cleansing already. I've only recently tried their moisturizer (but as I have the pregnancy mask, I can't quite vouch for it yet) which I use in the morning and at nights. I have nothing but raves for Myra's VitaGlow Tinted Moisturizer, however, because it's really sheer and applies easily and gives me that glow without making me appear as if I got enthusiastic with a bronzer. Because of it, I don't even need foundation anymore. Plus, it has SPF already so I really make sure to use it everytime I am going out. I also love the Myra e Shine-Free Face Powder (it smells real nice too, without reminding you of your mom's or grandma's old pressed powders). Both Myra products provide SPF which makes for more doable beauthy habits.